The hotel that has redefined high-style accommodation in Saigon has once again raised the bar on the luxury hospitality to be had in Vietnam with the launch of its very own yacht. 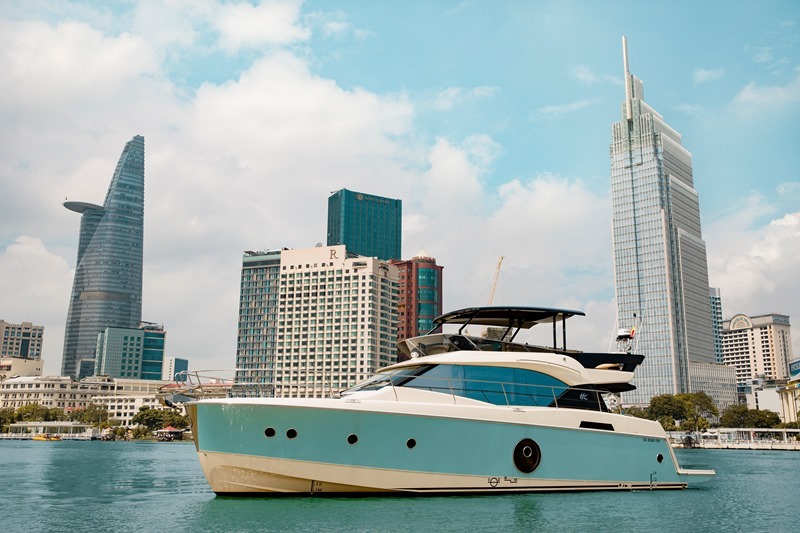 With the debut of its latest acquisition, a 60-foot Monte Carlo 6, The Reverie Saigon is weighing anchor with a crew of three and a private butler with champagne picnic in tow for bespoke excursions along the storied Saigon River. Spacious enough to very comfortably accommodate 10 guests yet suitably petite to navigate tributaries that lead to picturesque mangroves and tucked-away local villages, The Reverie yacht will start off by offering private charters of two-and-a-half, five and eight hours that start at a cool 50 million — Vietnamese dong, that is. The three voyages chart journeys that drink in the wonders of the city’s dynamic thrust for the skies and also reveal the day-to-day living and traditional commerce that still take place along the riverfront. Further from the heart of the burgeoning metropolis, the yacht threads the natural splendour of the tropical country’s verdant delta. The cruising options begin with Saigon Intermezzo, a non-stop, 2.5-hour sunset cruise that departs in the late afternoon and includes a champagne picnic for two served as dusk settles on the city and the spectacular lights of its landmarks begin to paint the skies. The champagne picnic includes a bottle of Louis Roederer, five prix-fixe menus to choose from, round-trip transfers in a Mercede-Benz S-Class or a BMW 7 series and service by a Reverie butler. The second option, Saigon Avventura, luxuriates over five hours and includes all of the Intermezzo elements – by day – while enjoying an exploration of the Can Gio UNESCO Biosphere Reserve. Encompassing approximately 80,000 hectares of the lush river delta, the ‘green lungs of Saigon’ are blanketed with a rich mangrove forest brimming with wildlife as well as flora and fauna. And to top, Saigon Spettacolare offers a full-day, 8-hour excursion anchored by a stop at Taekwang Jeongsan Country Club for a round of golf. Designed by American golf course architect Ronald Fream, the riverside greens comprise of two 9-hole courses located on the ecological island of Dai Phuoc, an approximate 60-minute ride from central Saigon by boat. Golfers need not swap tea-time for tee-off as the onboard champagne picnic comes with. Full lunch and dinner service can also be arranged, depending on the desired schedule. Just as the vessel’s namesake hotel transcends location to give guests an experience in Italian opulence, The Reverie yacht design also hails from the country renowned for its exceptional taste. Italian yacht designers, Carlo Nuvolari and Dan Lenard, are responsible for the Monte Carlo 6’s overall design while the interiors were fashioned by fellow countryman, Pierangelo Andreani. The 32-ton yacht is decked out in teak wood and exquisite leatherwork and comes outfitted with spacious interior living and dining areas as well as additional spaces in which to lounge and dine al fresco out on the main deck and on the Monte Carlo 6’s characteristic flybridge above (complete with a retractable roof). Out on the foredeck are electronically controlled sun loungers complemented by a built-in outdoor sound system with Bluetooth connectivity, while below deck is a spacious master bedroom with ensuite, a fully equipped walk-in kitchen, a separate powder room and a multi-purpose seating area. A built-in outdoor barbeque on the back deck beckons the hire of a private chef. 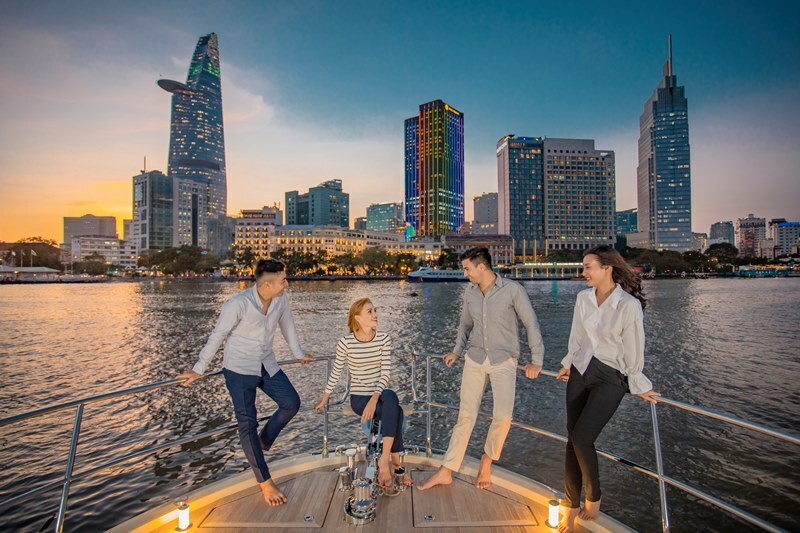 The pairing of The Reverie yachting experience with the Saigon River as a background sets the stage for any occasion imaginable – whether they be romantic sunset cruises, family outings, bridal showers or corporate executive retreats. Private charters with routes, services and activities tailored entirely to guests’ interests can also be arranged. A member of The Leading Hotels of the World, The Reverie Saigon offers an astonishing hotel experience, showcasing extravagant, unapologetic European opulence in a storied Asian setting. The latest luxury addition to Ho Chi Minh City’s flourishing hotel scene features 286 rooms and suites alongside 89 full-service luxury apartments, all of which are among the largest in the city and feature incomparable views of the Saigon River and the city skyline. 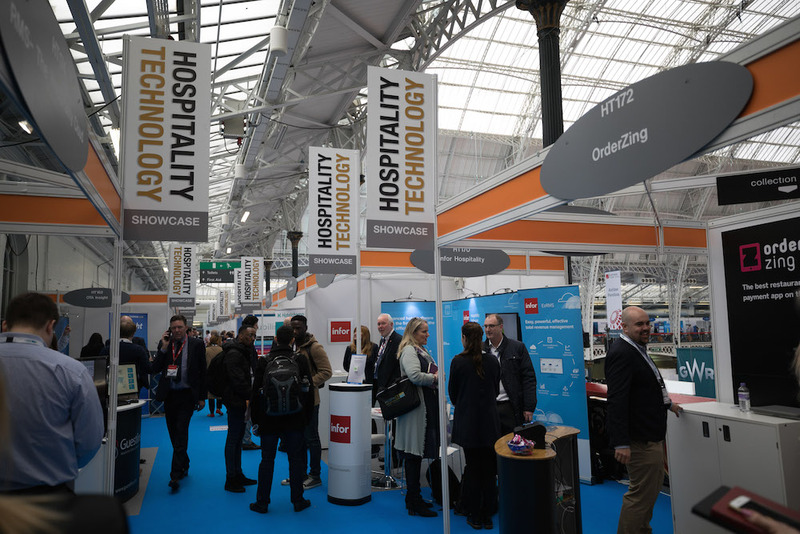 Renowned Italian brands furnished the rooms and suites of both the hotel and residence, and set the ambiance with exquisite and, in some cases, one-of-a-kind pieces. The property features five distinctive food and beverage outlets, a 1,200-square-metre spa & fitness centre, an expansive outdoor swimming pool and 16 versatile and elegantly decorated function spaces. 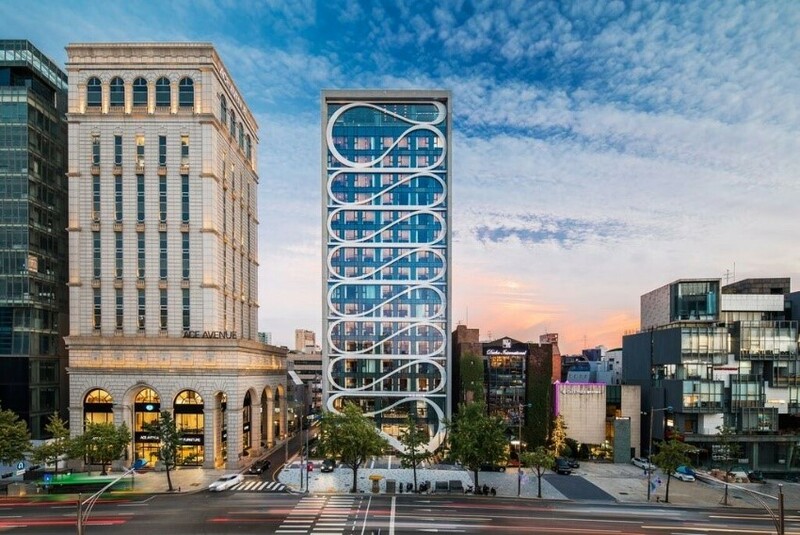 The Reverie Saigon is located in the 164-metre-tall Times Square Building, a mixed-use development, which includes eight storeys of premium office space and the showrooms of some of the same high-end Italian furniture brands whose pieces are featured throughout the hotel.